Contact Person: Timothy F. Johnson. Ph.D. While much of America’s attention has been focused on an awful economy, the nationalization of healthcare and the Obama administration’s use of government regulatory agencies to persecute its political opponents and spy on all Americans, too few are even aware of President Obama’s attempt to nationalize the public educational system. 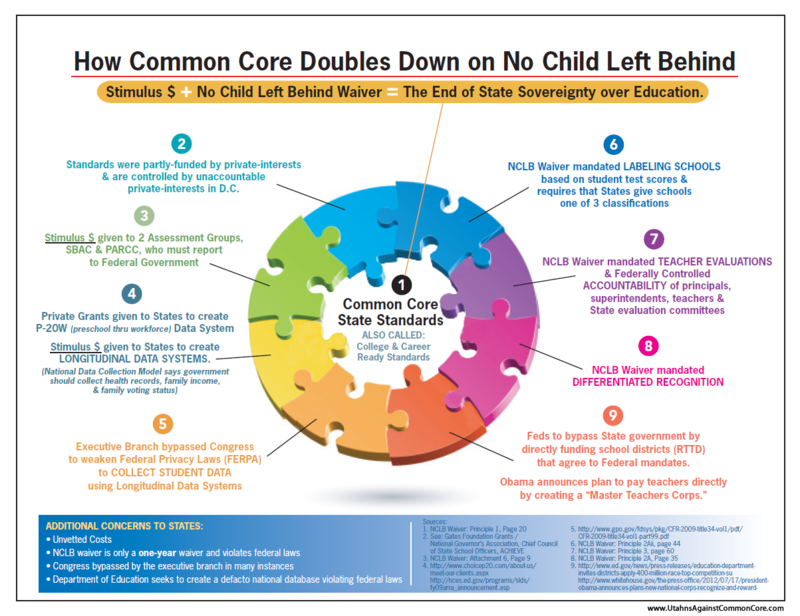 In preparation for the national implementation of a program called Common Core, using bribery in the form of federal funds for state governments and even private schools that adopt the plan, they’ve been testing this insidious indoctrination scheme in the state of Texas. There it is called C-Scope- but only by those who even know of its existence. As many as 80% of the schools in that state have already been turned into ineffective “educational” asylums for the creation of young adults who will be completely detached from their own nation’s great history and culture. Furthermore, their skills in math and science will be purposely hindered through teaching mandates that change, alter and remake the method of study in these subjects, as well as the purpose for studying them in the first place. The reason to go after Texas first is that Texas is the largest consistently Republican-voting state in the nation. If Obama can change the voting trends in Texas by changing the educational curriculum, President Obama will be fully successful in fundamentally transforming America into a one-party nation. The Republicans will never win a national election again. As David Barton said, one of the problems with our educational system is that, in the 1920s, the government began to change the way it educated students. Barton fought the implementation of C-Scope in Texas as a member of the curriculum board. Before the 1920s, American children were taught to think critically and to interpret the present with knowledge of the past. As well, Christianity, the philosophical foundation of our nation’s founders, was interwoven into the educational curriculum and into our every thought. With the guidance of famous atheist John Dewey- the progressive education and psychology saint of the Democrat Party- the educational system was slowly transformed. They introduced multiple-choice questions and began to educate children by mandating that they simply repeat what they were taught. Children were no longer required to utilize their religious foundation or their critical thinking processes to understand the reasons that things are the way they are. Instead, they were taught that this is the way it is, and here are the subjective reasons for it, devoid of any Christian context. The reasons were instead determined by the curriculum architects. Today, this is what we have to an even greater extent, but with fewer voices of religion or of conservatism even allowed to have input. However, Islamic voices are indeed welcome. While much of the curriculum in Texas is considered “anti-American,” even by the state legislators who recently voted to ban this curriculum due to the massive disapproval of the state’s citizens, Islamic voices are allowed to make sure that the curriculum is and remains very pro-Islamic. While this vote to ban C-Scope is a recent development, C-Scope is still the curriculum by reality of the situation. School systems can’t change curriculums on a whim. It takes funding, much discussion, research and many votes to do so. With the implementation of C-Scope, teachers in Texas were required to sign a non-disclosure agreement, making it impossible for them to speak about the curriculum, even with parents who might ask why their children are being taught that known communist party members are heroes. These teachers, by order of the non-disclosure agreement and out of fear of losing their jobs and being sued, are required to tell parents that they cannot talk about it. Furthermore, these teachers are required to read from C-Scope scripts on the same day as every other school. The school administrators are required to send observers with clipboards through classrooms to verify that teachers are indeed reading from the scripts. They must proceed with this cookie-cutter progressive interpretation of all subjects, even when children are left behind because some children aren’t able to keep up with the other children. Without room or time to double back and make adjustments to the curriculum, some students will be forced to lag. In addition, there are a lot of nationally administered tests. Testing isn’t necessarily a bad thing, but what if the tests serve only the purpose of forcing the students to regurgitate back the nonsense that these teachers are forced to teach, even when they know it is wrong? Here are some of the things that are wrong with this curriculum that the President is in the process of implementing nationwide. Information on this is very limited because the state refuses to allow parents to view the curriculum. However, David Barton and Glenn Beck have been covering this educational monstrosity more carefully than anyone. Much of my information comes from their coverage. The goal of this system is to teach children to be members of a “global society.” They want to remove the language of “values” so they can teach the children to love the government. They’ve removed study of “Federalism and majority rule” and taken out patriotic symbols. History teaching now begins in 1565, after the time of Columbus, whom they say came here to be an environmentalist and not to find freedom of religion. They’ve removed the history of the military and replaced it with the history of America as an evil imperialist nation that seeks to oppress others. The study of Columbus Day, Christmas and Chanukah have been removed and replaced with the study of the pagan holiday of Diwali. While McCarthyism is painted as another example of why America is evil, all teachings on American Exceptionalism have been removed. The historical heroes, whom children in first to third grades study about, are all liberals, foreigners and outright communists, except for three. They mention President Theodore Roosevelt, who, after leaving the Republican Party, began the progressive movement. They mention Kay Bailey Hutchinson, the former pro-abortion liberal Republican Senator from Texas. And they mention Ross Perot, a Texas businessman who ran against President George H. W. Bush and Bill Clinton in 1992. He stole enough of President Bush’s votes to enable the rise of the perjuring philanderer Bill Clinton with less than 50% of the vote. While these three supposed Republicans might be heroes to liberals, they are not at all heroes to those of us who love America. And please don’t pull that “liberals love America too” nonsense. If they did, they wouldn’t constantly be hoping to change America. Nevertheless, teaching children why they should love their country isn’t the goal of this nationalization of education. The goal is to get children prepared for global government and to feel comfortable renouncing their US citizenship in favor of global recognition. The curriculum seeks to replace the past with the present. They don’t even teach the reasons that our Founding Fathers put the Bill of Rights in the Constitution. The goal is not to teach these children that they have rights in the Constitution that protect them from the tyranny of man corrupted by power. As well, these children are all taught about scarcity, to the point that they grow up worried that there might not be enough food to feed them or that there might not be enough energy to power their homes. There is nothing about the actual abundance of resources that we have the ability to get with new methods of procurement that have been developed with the ingenuity of man who isn’t hindered by the constraints of government mandates. The only reasons we can’t get access to these resources are the liberals with law degrees and the regulations preventing us from turning our country back into the envied economic powerhouse of the world. Instead, we handicap ourselves because the liberals in charge of developing this curriculum want children to despise America as much as they do. The idea of scarcity will also serve to help future leaders develop the ability to rationalize the mass genocides and forced famines that will be necessary to keep the socialist system from complete bankruptcy. When man becomes a liability of the socialist state, sometimes, for the good of the state, the state needs those liabilities to be out of sight, out of mind and out of life. Proof that they have this in mind resides in the implementation of “death panels” for Obamacare, the government funding of abortion through Obamacare and the fact that it will be the IRS agents in control of managing the fund collection for the government-run healthcare system. Funding for life-saving surgery will depend upon the approval of government bureaucrats, and sometimes cutting costs of a program necessitates the cutting of demand- dead Americans no longer demand healthcare services. But that’s not a part of the Common Core curriculum of course. That’s just what the people who know history are saying, and the Obamites have already erased that part of history. If it’s not in the curriculum, it might as well not have happened. The majority of teachers who’ve been forced to use this curriculum consider it mediocre, but again, they’ll lose their jobs, as some already have, if the go off script or talk about it publicly. So the tests, which make sure students are able to spit back nonsense, really accomplish very little other than to allow the educational overlords to verify that the teachers are doing their “jobs.” It is also a way for the government to mine the students for data. With the nationalization of healthcare and then of education, these databases will eventually allow the government to determine who gets what according the criteria they draw up. In other words, children who refuse to play ball because their Christian parents are showing them the lies their government teacher is forcing them to believe, will be hindered in the procurement of status, class, wealth and upward financial mobility- just like it is in other socialist nations. He, who plays ball, even if it means renouncing his faith in God, gets the cushy government-jackboot job of oppressing and punishing those who don’t. George Orwell wisely wrote: “He who controls the present, controls the past. He who controls the past, controls the future.” We’ve all heard that line over and over, but it has never been more poignant than it is now in America. That’s what this is about. If the liberal progressives can change the history that is taught to children, they can control the future. Consider this. Instead of teaching literature to children and using the study of history to put that literature into historical context, this program mandates that government-supplied “non-fiction” will be read instead. History is already limited and taught without the Christian context informing the students how to interpret it. As a result, literature becomes even harder to understand. How can a child appreciate The Grapes of Wrath without understanding the Great Depression or without understanding that much of Steinbeck’s preachy communism comes from the fact that he, like many during the Great Depression, considered communism the be answer to the nation’s problems? Don’t get me wrong. I love Steinbeck, but he has to be read in context to fully appreciate his greatness as a writer. And how can a child read Dickens without understanding the changes to society in Europe caused by the Industrial Revolution? How can a child read literature and then appreciate how lucky he or she is to live in this land and time of plenty? A generation of children unappreciative of how good they have it will instead be taught to resent and despise their country. They will of course then be more likely to vote Democrat, and President Obama knows it. So instead of reading literature that, when read in historical context will make them appreciate the great historical Americans on whose shoulders they stand, children will be reading “non-fiction” papers on the impacts of global warming. Or they’ll read psychological diatribes on how homosexuality is the preferred lifestyle because it doesn’t produce so many children with carbon footprints that kill the planet. In other words, history and literature will become subjective indoctrination. For fiction, instead of reading the classics in literature, they’ll be reading modern stories about happy children growing up in homosexual homes with more than two parents of all kinds of genders. There will be no one to present the other side and allow the children to use critical analysis to figure out the truth. The truth will be what the radicals in charge of the curriculum say is the truth. Likewise, math and science are being perverted. Math is the language of science and of God. It’s universal, and it’s the same in every country on the planet and in every part of the universe. Without it, science is meaningless. The methods of teaching math are now so convoluted that parents can’t even understand the methods that their children are supposed to use. This puts the parents on the sideline, and it purposely creates, in the child’s mind, the notion that their parents might not be so smart, thus making it less likely that they will later consider their parents’ wisdom useful in other subjects. As well, the scientific method is being replaced with consensus. The government buys off a large percentage of scientists with grants to manipulate data to come to the government’s predefined conclusions. Then they smear all those scientists, whose science isn’t funded with government money, as funded by private sector dollars. In other words, according to big-government sycophants, privately funded science isn’t as reliable because it doesn’t get government money, but they neglect the mention the fact that the government doesn’t give money to those who won’t produce the required results. But try to figure that out once going through a government curriculum that refuses to teach one to think critically. If the answer to a problem doesn’t have a letter before it, it will rarely even be considered. So children are supposed to believe government science, whose foundation is “consensus,” rather than actual science, where conclusions and theories are arrived at only after the scientific method is used to discover the truth. When relying upon preconceived conclusions, falsely solidified with “consensus,” why in the world do we even need scientific inquiry? If the government already knows all that it needs to know, why does it bother funding further scientific inquiry? Why are taxpayers further burdened with government debt so that the government can come up with more useless scientific data from scientists who’ve sacrificed scientific integrity in favor of the free flow of government grants? Why force children to study science at all, if the integrity of science is so thoroughly destroyed by the government-grant givers’ unwillingness to fund any scientific inquiry that may come up with non-consensus mandated conclusions? Of course, all government science is used as an excuse to grow government by increasing costs. The myth of Global Warming is used as an excuse to increase tax revenues on higher energy prices by keeping the supply of energy low with regulation. The Arab governments, rich in oil, actually fund the environmentalist movement in the west so that they can keep non-Arab oil supplies low and oil prices high- but again, that won’t be a part of the curriculum. With high energy prices, the government gets money, and the children grow up afraid of economic growth, capitalism and Republicans. The myth that we evolved from monkeys (arrived at for the racist reason of dehumanizing the black man as less evolved from monkeys than the white man), despite the lack of fossil record to prove it, is used to keep children convinced that they’re just souped-up animals who weren’t created in the image of God with free will. Children who think they’re animals, act like animals. Children, who act like animals, often don’t make it very far in adulthood, require welfare, end up living on the government system and too often vote Democrat. Those who mandate the teaching of evolution exclusively know this. They’re not interested in trying to earn the votes of people who believe they were made in the image of God. They’d rather take for granted the votes of those who grew up thinking they evolved from monkeys. Let’s remember that President Obama’s long-time friend and Chicago neighbor Bill Ayers, the former communist radical and now professor of educational curriculum, is part of the driving force behind this national curriculum. This is a man that bombed the Pentagon and later helped launch President Obama’s political career. This is also a part of a plan put into place even before Bill Ayers was on the scene by the Critical Theorists. These were a slew of communist radicals expelled from Nazi Germany- these socialists were even too radical for the National Socialists. They set up the Frankfurt School at Columbia University, where President Obama studied. In short, their goal was to use the process of “deconstruction” to tear apart the history of Western Civilization and erase the ability of Christianity to serve as immunity to the implementation of global socialism. Incidentally, Columbia University is also the location of the famous Columbia Journalism School, whose graduates dominate the liberal media. So don’t expect the liberal media to expose this takeover of the public educational system. They’re on board with the scheme. The future of America depends upon our prevention of this purposeful quest to spoil the American mind and American ingenuity. We already know what happens in countries where Christianity is replaced with mandatory reverence for the government. Objective truth becomes replaced with subjective lies. When man must renounce his innate notion of right and wrong, so as not to be punished by a maniacal governmental force, he is not free. His mind, body and soul become property of the governing force that controls his thoughts and deeds. We conservatives have made no secret whatsoever that we view the socialist government system as a government Plantation run by the Democrat Party. It has persistently sought to borrow more money and to increase taxation of the working man, all the while encouraging many people not to work but instead to live off the system and to vote for the party that funds the system with their unchristian voting habits. Understanding history inside its Christian context compels conservatives to draw comparisons to history so as not to allow the atrocities of history to repeat themselves. The government debt under this president has grown immensely, as, along with it, has grown the need for working Americans to give more of their earnings to the government that continues to govern against their will. Whether we like it or not, taxation and regulation are forms of slavery, and the American worker is indeed becoming a debt slave to this evermore tyrannical government whose tax collectors are just now being investigated for punishing those organizations that argue for less government and for lower taxes, simply because of their Christian beliefs and conservative political views. This Common Core curriculum seeks to teach children to despise Americans who possess the knowledge of their Christian Heritage and of their God-given rights guaranteed to them in the Constitution. It also seeks to prevent them from obtaining the ability to interpret history in its proper context so that whole generations will remain forever ignorant of the freedoms that we Americans are guaranteed and of the greatness that the concept of America inspires. In other words, the government is turning the whole country into one big plantation under the purview of the unelected Globalist dictator wannabes. And they’re doing it by controlling what and how our children learn. This insidious plan to destroy the greatness of America must be stopped and understood for what it is. We, as Americans, need to unite and go on strike against our government’s plans for us. This is no longer a government of the people, by the people and for the people. It’s a government against the people. We need to yank our children out of government schools and homeschool them. We need to establish more homeschool coops, where students in families with two working parents can have their children inexpensively educated in the true American way. Curriculum needs to be controlled locally and by those who care about the children the most. Barack Obama’s voracious lust for mass abortion of babies, even the ones who survive late-term abortions, does not indicate he cares much at all about our children. So again, we at the Frederick Douglass Foundation wholeheartedly condemn the implementation of Common Core and all politicians who eschew their responsibility as citizens to do whatever is in their power to kill this legislation. Once the plan is in place and the educational system is addicted to the federal funding, there will be nothing left to prevent the bureaucrats from making the curriculum even more radical, more anti-American and more anti-Christian. Stop it now.